The perfect date night meal is impressive, yet easy to make! My simple lobster tail recipe makes a gorgeous dish in under 20 minutes, so you can spend less time at the stove and more time with your date! Inspired by my first “date night in” with my fiancé, Mateo! 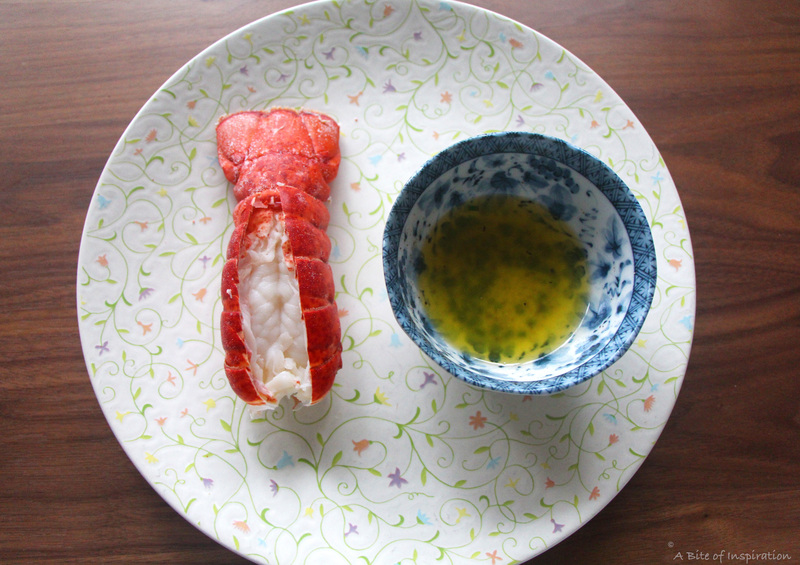 Read on for the story of his first time cooking for me and for my delicious lobster tail recipe! A few months after Mateo and I started dating, he invited me to his apartment for dinner. It was his first time cooking for me and he was definitely going for the “wow” factor with this meal. I remember arriving at his place and he was standing there by the stove wearing this black shirt I had told him was my favorite (awwwww). He had cooked this really elaborate dinner that consisted of a cheese plate, salad, teriyaki steak, and rice. He even had brownies for dessert! The steak was perfectly cooked, the cheeses were painstakingly selected, and the brownies were to DIE for. He’s really a fantastic cook (lucky me!) There was just one problem: the salad. You know that thing that happens sometimes where you do all the hard stuff perfectly, but then you screw up the easiest thing? That’s basically what happened to poor, sweet Mateo that night. He attempted to make a sort of cold, cooked broccoli and kale salad for me. This was a great idea in theory, but the reality ended up being these weird, mushy veggies with too much salt on them. Despite his tiny mishap, Mateo definitely had the right idea with the “date night in” concept. As much fun as it is to go out for date night, it’s equally romantic to stay in and cook for each other! When you’re having a date night in, the key is to cook a simple, but impressive dish. You don’t want to spend hours at the stove, when you could be entertaining your date. Yet, you still want to make a dish that’s gorgeous, delicious, and, most importantly, shows effort! 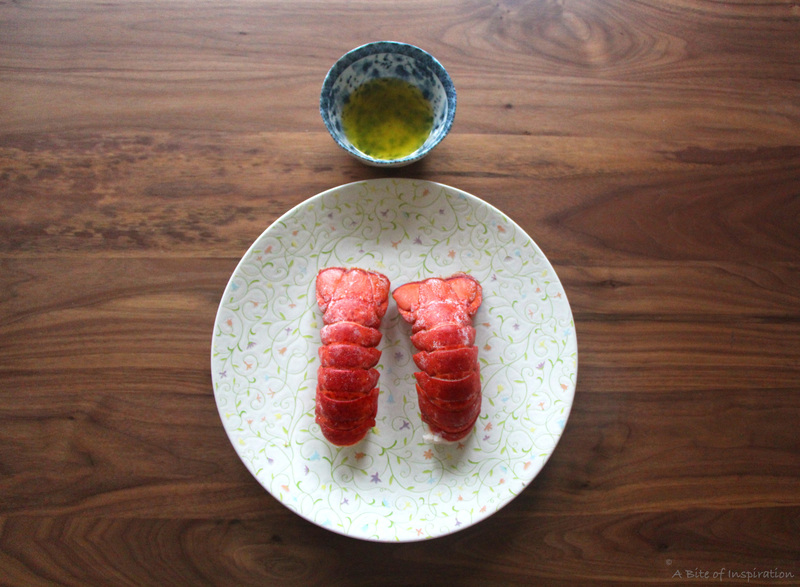 My Lobster Tails with Truffle Salt Butter recipe is exactly that kind of date night dish! 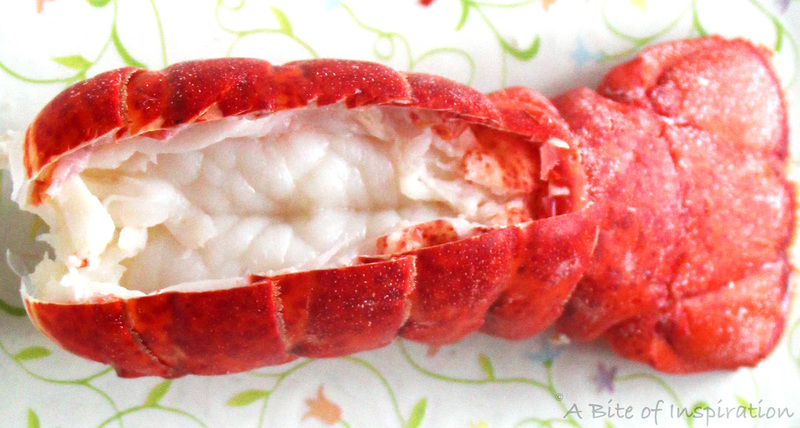 It looks really fancy because, duh, it’s lobster, but it’s super easy to prepare! It takes less than 20 minutes to cook, so you can spend more time with your guy or gal and less time slaving away at the stove. These lobster tails are seriously the easiest, sexiest date night dinner that ever existed. Lobsters are so delicious on their own and the tail meat is especially decadent. Add to that my truffle salt butter and you (and your date) are guaranteed to swoon! The lobster tail is meaty with a subtle sweetness, while the sauce is buttery and salty with a hint of truffle. I adore truffles, by the way. They have a certain complexity to them that no other food even comes close to. I once paid over $100 for a plate of pasta with fresh truffles on top at a restaurant in Vegas (I know, I know, but it was my birthday!) Truffle salt allows you to re-create those fancy flavors without the giant price tag. This recipe uses white truffle salt, which has a beautiful earthy taste that complements lobster perfectly. You should be able to find a good truffle salt in most grocery stores, but in case you have trouble finding it, here are two products I recommend: Oliviers & Co. White Truffle Salt and Wild Foods White Truffle Salt . Both products are under $15 and will last you a really long time. I used Oliviers & Co. white truffle salt in this particular recipe, but I have used Wild Foods’ before and it’s also very good! Just make sure that if you use a different brand, you taste the sauce and adjust the salt to your liking because the truffle salts can vary a bit by brand. Some have a stronger truffle flavor, while others have a higher salt content. No matter what truffle salt you choose though, I promise, this dish will be absolutely delicious! Serve these lobster tails on your next date night (maybe with a side of mushy broccoli and kale salad?) and I guarantee you’ll win his or her heart! It’s the perfect romantic meal for Valentine’s Day, an anniversary, a first date, or any other time you really want to impress someone with very little effort. And, of course, no date is necessary to enjoy this dish– it’s great to share with anyone on any occasion! Enjoy! Add enough water to a large stock pot to cover both lobster tails—about 6-8 cups depending on the size of the pot and the lobster tails. Salt the water and bring it to a boil. Once boiling, add the lobster tails. Cook for 3-5 minutes. Carefully remove lobsters from the water and transfer to a plate. Give the tails a few minutes to cool and then check for doneness. The tails should be solid white with no translucence. Pour the melted butter into a small bowl. Add white truffle salt, chives, and pepper. Stir well. Serve the hot butter sauce alongside the lobsters. Enjoy! Don’t melt the butter until you’re ready to make the sauce. You want the butter sauce to be piping hot when you serve it. I usually just melt the butter in the microwave for between 30 seconds to 1 minute. Watch it carefully, so it doesn’t start to bubble and spill over. For a more impressive presentation, cut down the middle of the lobster’s top shell with a pair of kitchen shears. Pull the shell aside and push the tail meat up so that it’s visible over the shell. Please note, the amount of truffle salt you use will depend a bit on the brand you choose. Some have a stronger truffle flavor than others and they vary a bit in their salt content, so use the ¼ teaspoon as a guide, in addition to your own judgment. The easiest way to cut chives is to use kitchen shears or herb scissors, if you have them. Do you think it would work if I shelled the lobster tails and served the truffle butter drizzled overtop? Haha yes! Risotto would definitely be a good choice. You could even just go with plain risotto, so the double dose of truffle doesn’t overpower your palate (depending on how much you like truffles– in my case, I can never get enough!) Shelling the lobsters and drizzling the truffle butter overtop would definitely work! In fact, it would be delicious! Great idea! Thank you so much for stopping by and for your great question! Now this is a dish that would definitely please the one you were cooking for. That’s a cute story about Mateo and the salad. I’m glad you cooked him lobster tails with truffle salt butter. He deserves a great meal! Isn’t trying the key and people will be forgiving. Thank you, Mark! I definitely agree with you! Effort is everything. Thanks for reading my story and I hope you enjoy the recipe as much as Mateo did! Mateo sounds like such a sweetheart! 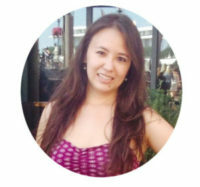 What a wonderful story to share with us! 🙂 The truffle salt butter sounds delish and perfect for lobster! Thank you so much, Marie! He really is a sweetheart! 🙂 Glad you like the recipe too! Thanks for stopping by! Your Beau sounds like a keeper, what a guy! And the lobster? Mmmm….succulent and so delish! Thank you so much, Debra!! Very fancy! 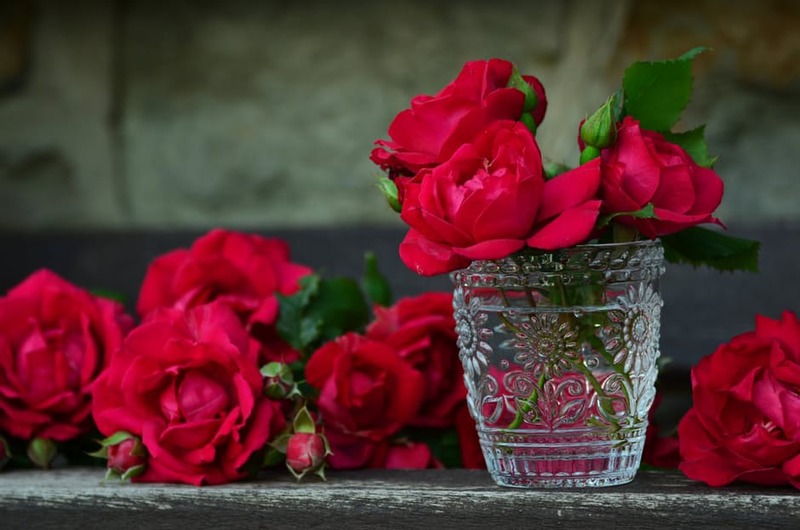 It is a great Valentines recipe! It definitely is, Kitty! Thank you so much! This looks so decadent. Perfect for special occasions. Thank you, Julie! It definitely is a great recipe for special occasions and it’s easy to make, which is always a plus! Thanks for stopping by! Some ingredients need so little doing to them to make them sing, I’ve never tried truffle salt but always have a bottle of truffle oil hanging around. Thank you, Brian! That’s definitely true of truffle salt– it’s amazing that one simple ingredient can taste so complex! Truffle oil is great too. Thanks for stopping by! Thank you so much, Julia! You should definitely try truffles soon. They’re one of my favorite flavors hands down. Thanks for stopping by and hope you get to try this dish! My husband would love this! Ever since we went truffle hunting in Italy he is obsessed with anything truffle. That’s awesome, Dannii!! I’ve been dying to go truffle hunting; I’ve heard it’s an amazing experience. I hope you and your husband enjoy this dish. Thanks for stopping by! I’ve never made lobster at home, thanks for a great recipe! I love truffles and butter, combined it sounds amazing! Totally agree, Joyce! We all deserve to be wined and dined on occasion and lucky for Terry, this recipe is super duper easy! The “wow” factor without all the work– what more could our guys want? haha 😉 Thanks for stopping by! I’m a seafood fanatic! I can’t believe I’ve never made lobster at home. I’m gonna have to add it to my menu. It doesn’t seem complicated at all! Thanks for inspiring me, Alyssa! Aww thank you, Jamie! A lot of people are a bit intimidated by cooking seafood at home, but it really is easier than you would think. Definitely give it a try. Thanks again!